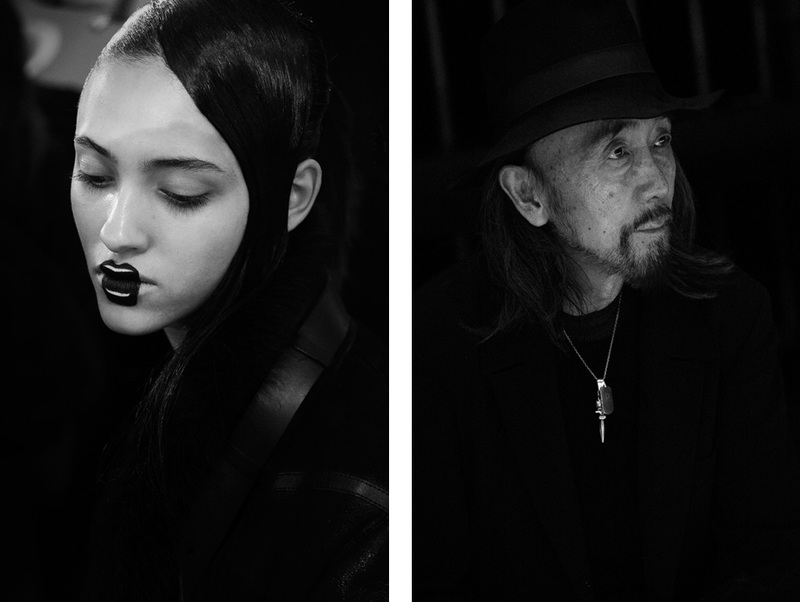 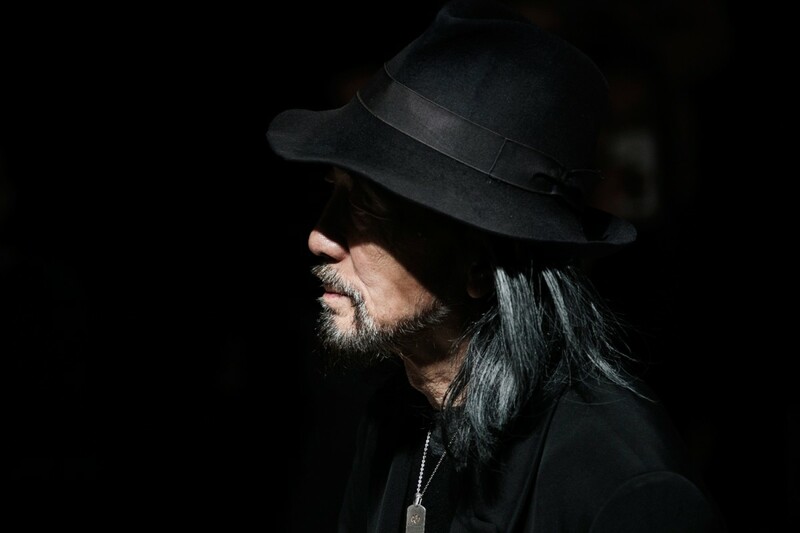 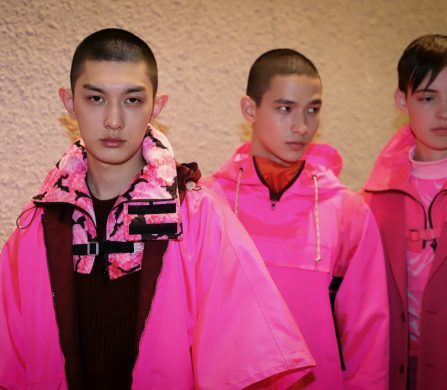 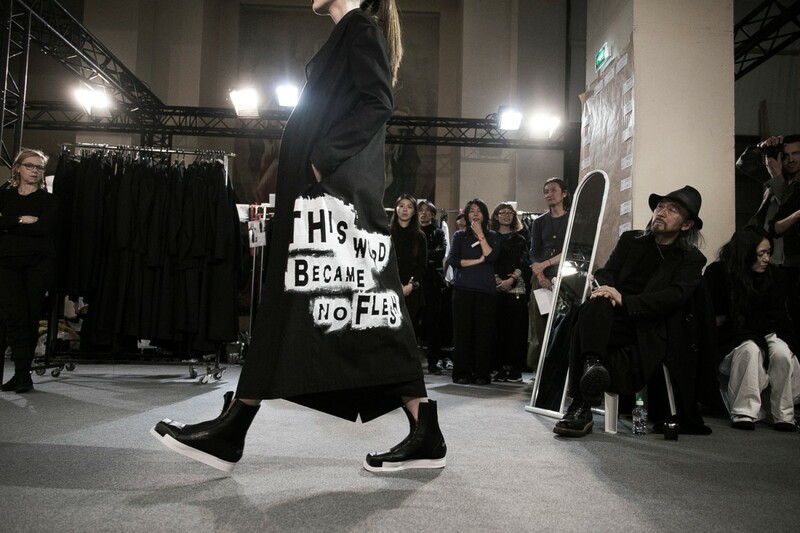 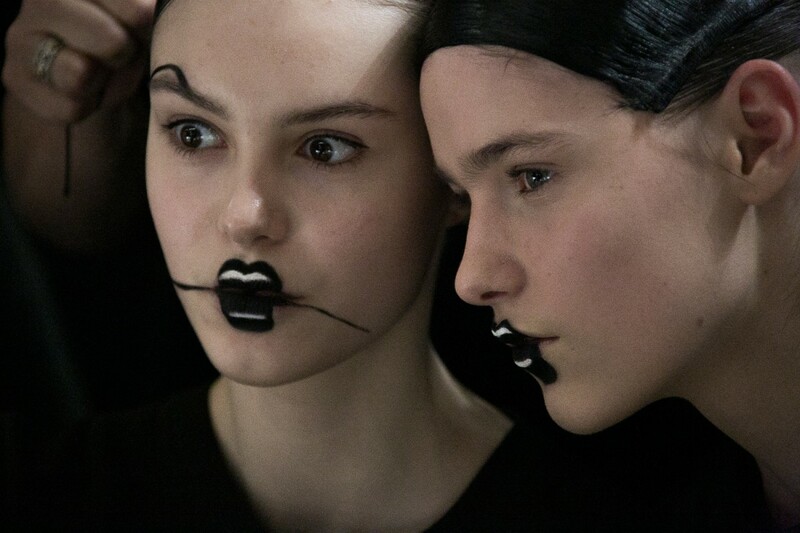 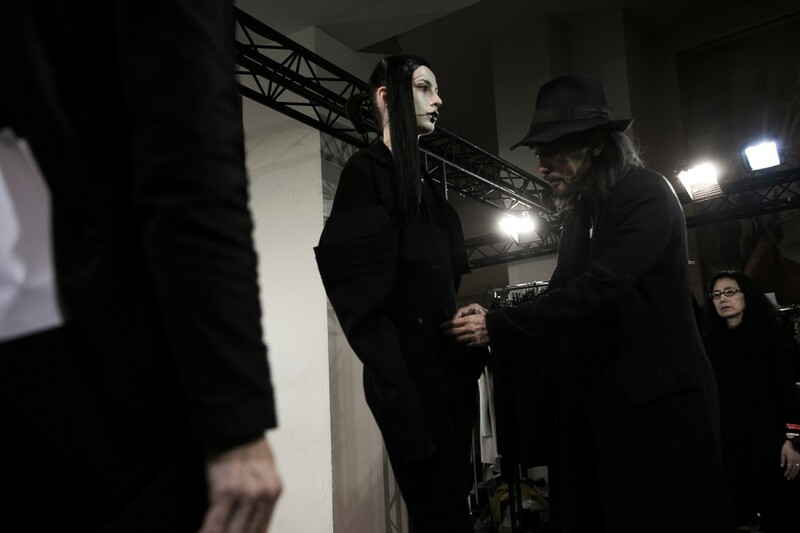 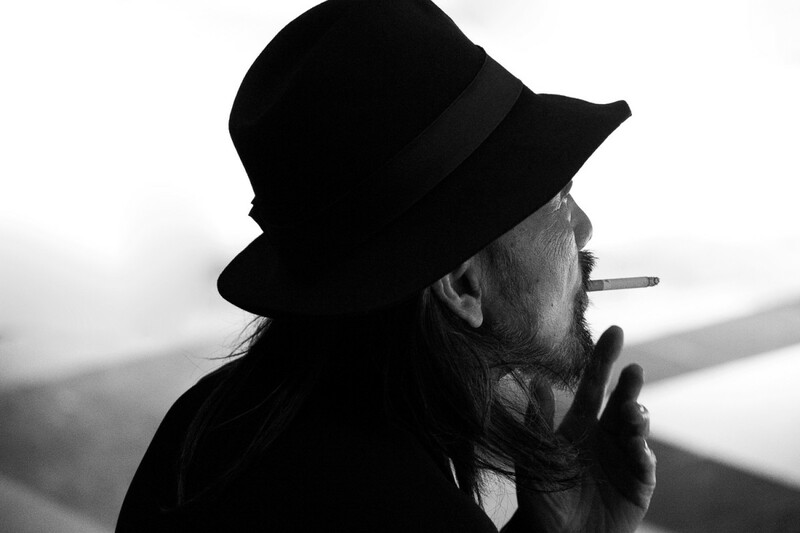 At the Yohji Yamamoto Autumn/Winter 2016-17 show, models calmly floated down the runway with black lips, with a thin line extended at the corners of the mouth. 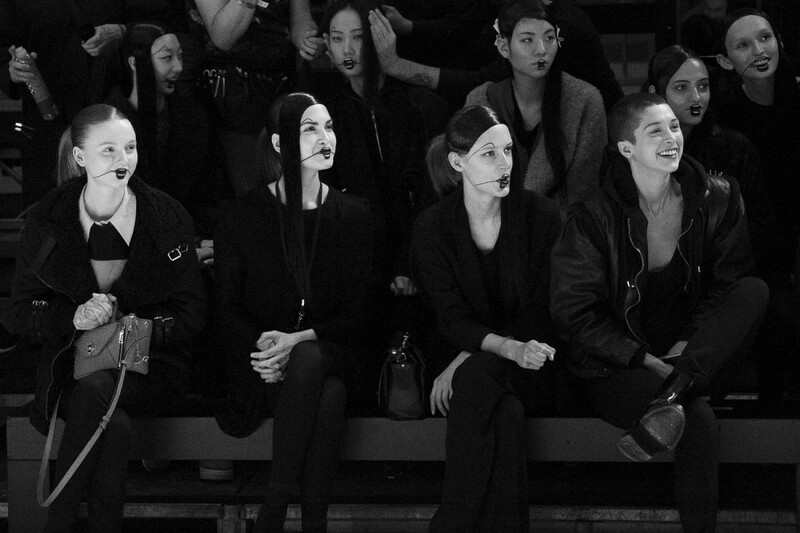 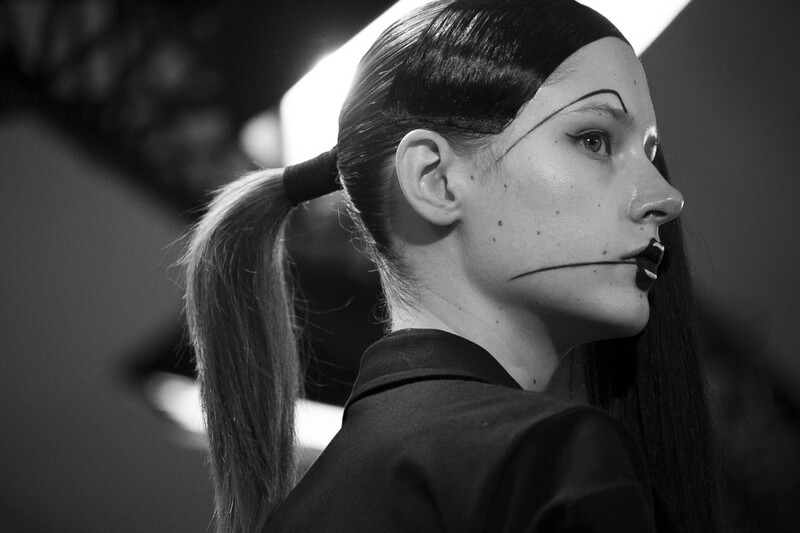 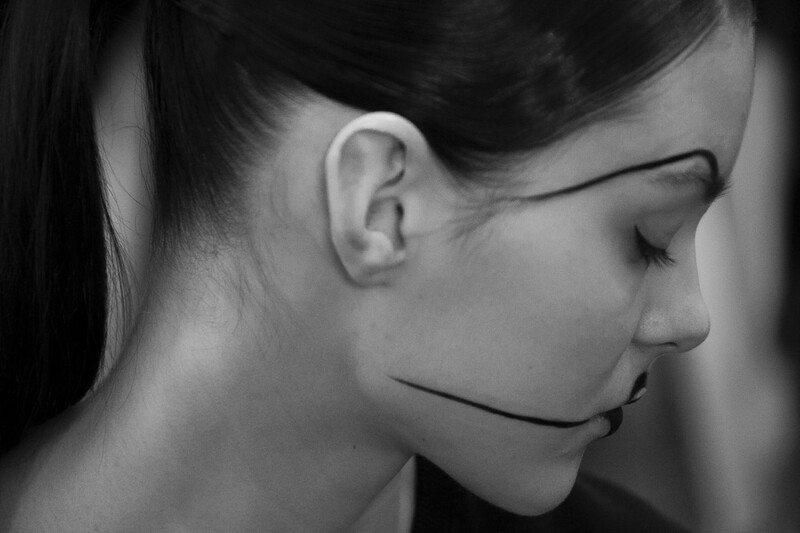 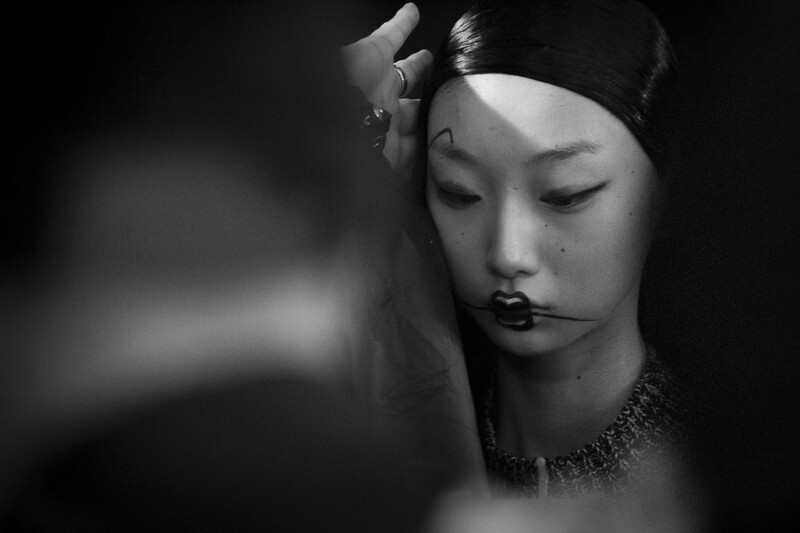 A slim, artful line was drawn over eyebrows as well, with beauty direction led by Pat McGrath. 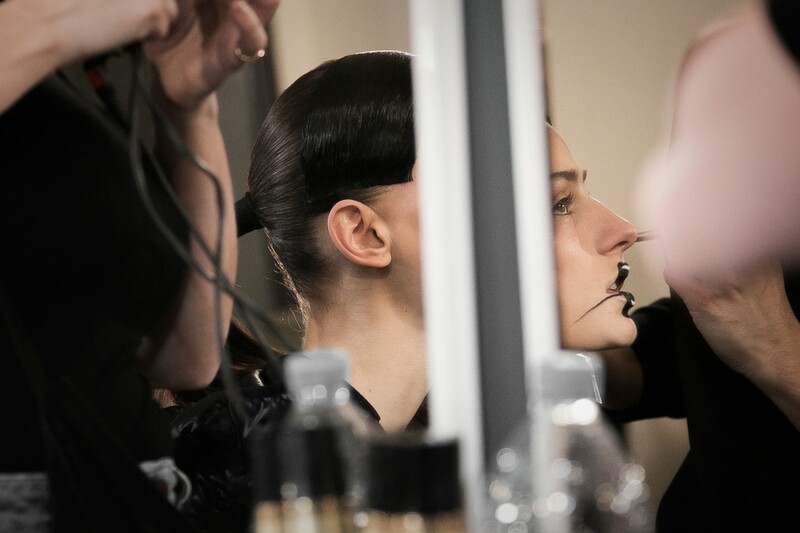 Hair was drawn back into a tight, sleek ponytail with a long black mesh embracing the face, directed by Eugene Souleiman. 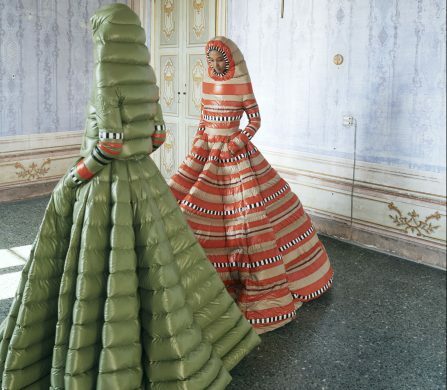 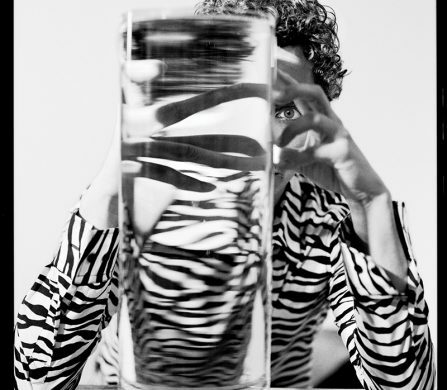 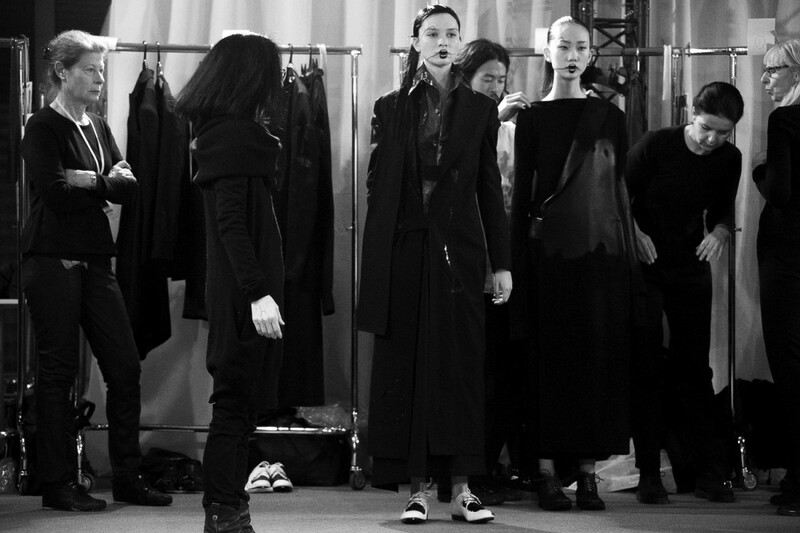 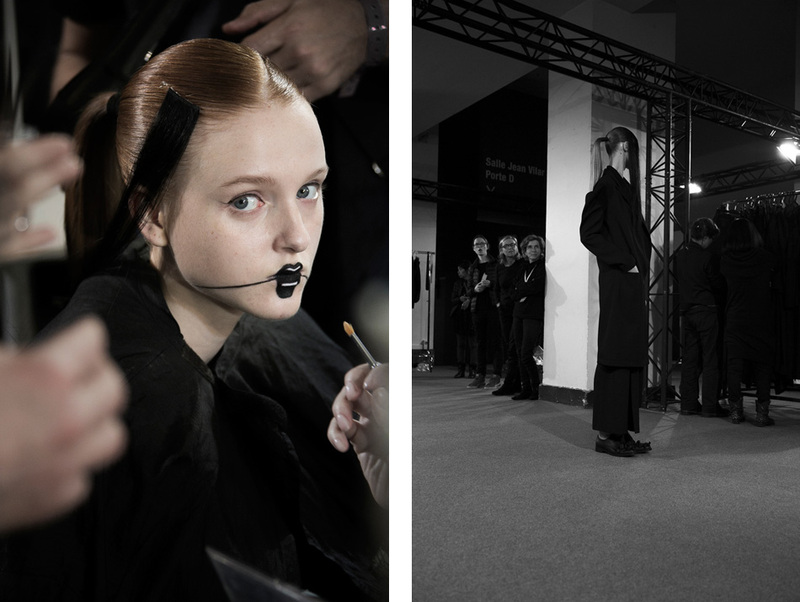 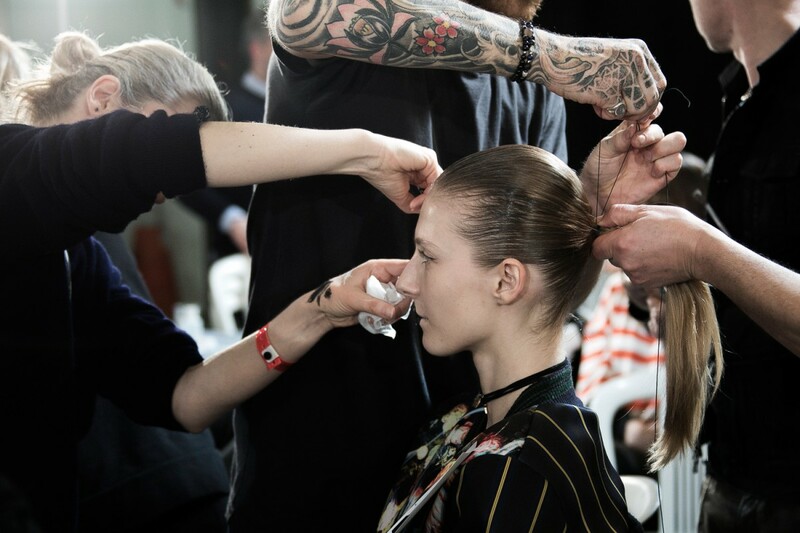 Photographer Alice Jacquemin brings us backstage for an exclusive preview of the beauty and show preparations.